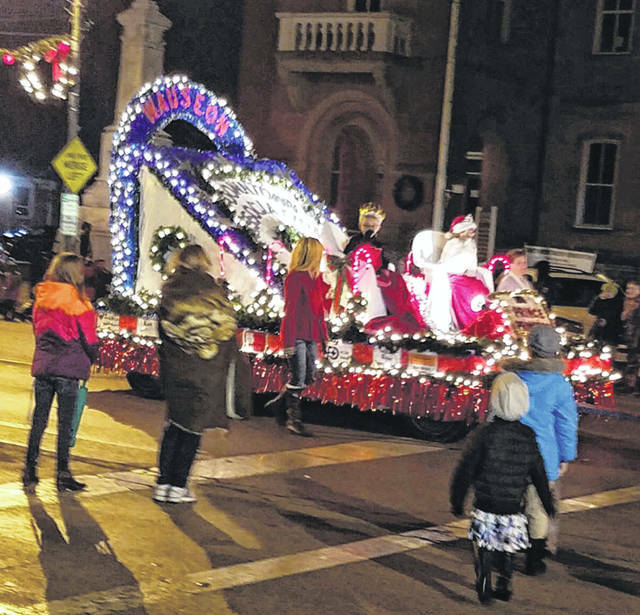 Wauseon Lighted Christmas Parade prince, Kamryn Eicher, and princess, Carly Dobaczewski, ride down Fulton Street on Saturday. 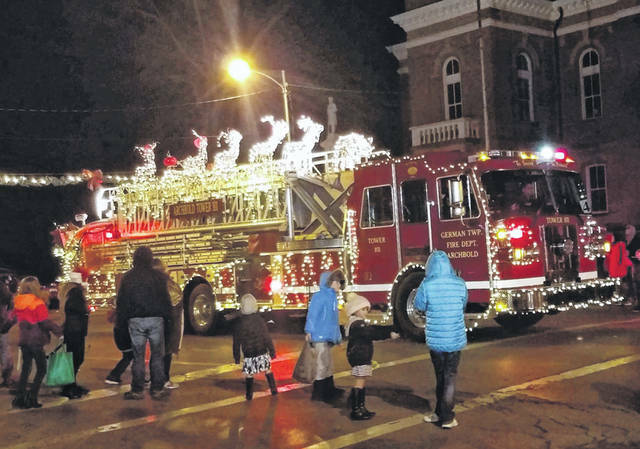 A fire truck from German Township/Archbold is adorned with reindeer. 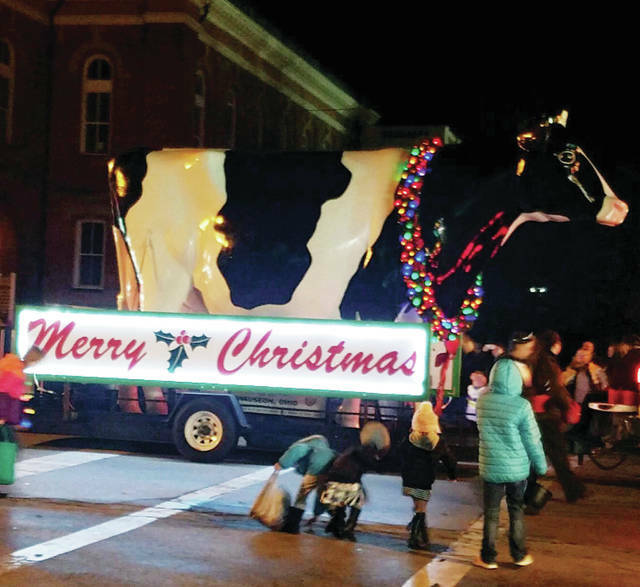 Sterlena heads down Fulton Street during the parade Saturday.